Tickets for our 2019 Day Out With Thomas event are on sale now! The event will be taking place on September 14, 15, 20, 21, and 22, 2019 at the Boone & Scenic Valley Railroad in Boone, Iowa! For tickets call 1-800-626-0319, or click here. What is Day Out With Thomas™? Day Out With Thomas™ is a family event that offers aspiring engineers and their families the unique opportunity to take a ride with the classic storybook engine, Thomas the Tank Engine™ at regional heritage railroads across the country. Since Thomas the Tank Engine left the depot more than 65 years ago, this Really Useful Engine and his Island of Sodor friends have chugged their way into the hearts of preschoolers and grownups worldwide. Based on The Railway Series of classic stories authored by a father who loved trains and wanted a shared experience with his son, Thomas & Friends™ is a rite of passage that inspires the imagination while teaching the life lessons of friendship, exploration and cooperation. What are the appropriate ages for Day Out With Thomas? Day Out With Thomas is a family event that welcomes passengers of all ages. The event is located at 225 10th Street in Boone, Iowa. Tickets may be purchased by calling 1-800-626-0319, or by clicking here. Tickets are required for guests ages two and up. 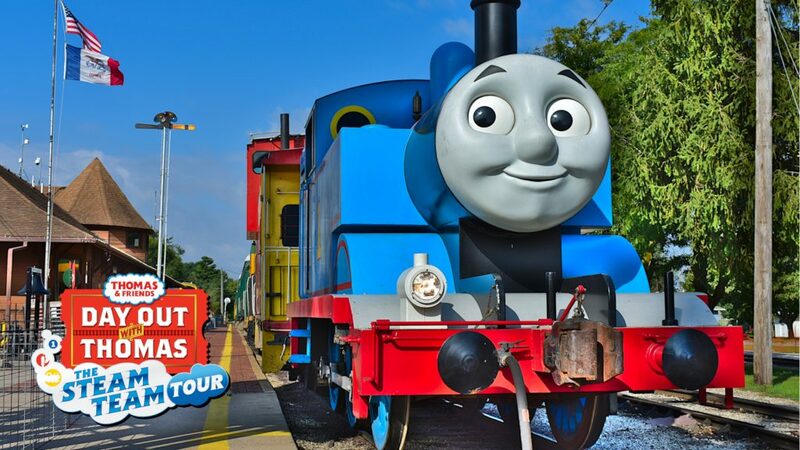 A ticket for Day Out With Thomas includes: a ride behind Thomas the Tank Engine, storytelling and video viewing, temporary tattoos of Island of Sodor friends, an Imagination Station with arts & crafts, a trolley ride, museum admission and more. Guests will also have the opportunity to meet Sir Topham Hatt, the Controller of the Railway on the Island of Sodor. Thomas the Tank Engine has traveled all the way from the Island of Sodor and has arrived Right on Time to take a ride with you and your family. Will Sir Topham Hatt be there? Yes, Sir Topham Hatt will take time away from his busy schedule as Controller of the Railway on the Island of Sodor to meet and take pictures with guests. What times do trains depart? It is recommended that guests arrive at the event at least one hour before their scheduled departure. Tickets are assigned by time. Guests must be together during boarding if they wish to sit together on the train. How long is the train ride? The ride is approximately 25 minutes in length (round trip). The length of the ride is set by the company that owns Day Out With Thomas. They have determined that smaller children have a tendency to become fussy on rides longer than 25 minutes. There is one train ride per ticket. A limited amount of on-site parking is available. Street parking, and parking in nearby lots is also available. Is there an additional cost for parking? There is no additional cost for parking. Day Out With Thomas events take place rain or shine. Absolutely! Guests are encouraged to capture their Day Out With Thomas memories for their photo album. Food is not included in the cost of admission, but several food vendors are located on-site. Day Out With Thomas is a family event that welcomes guests of all ages. There is even a designated area for “stroller parking” and car seats during the train ride. Is the event handicap accessible? Handicap access is available. 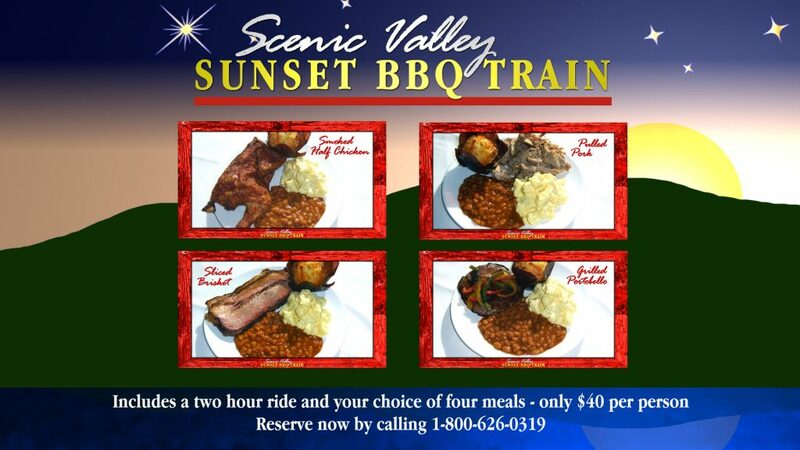 Call 1-800-626-0319 to confirm availability. No pets are allowed at Day Out With Thomas.